Osman Kavala is in solitary confinement without charge in Istanbul for more than one year (see our post from November 21, 2017). For over 30 years, he has been active in fostering culture and education in Turkey. As a member of numerous boards and president of the cultural institution »Anadolu Kültür«, which he founded 16 years ago, he’s constructed bridges in civil society from Turkey to Europe and neighbouring countries. The Turkish public prosecutor’s office has rejected four requests for his release. Like many other critical intellectuals in Turkey, he’s been subjected to untenable accusations: among other things, he’s been accused of participating in planning the attempted coup in July 2016. 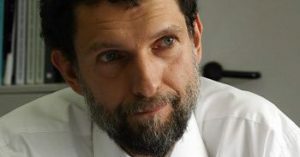 The European Court of Human Rights recently pre-accepted Osman Kavala’s application on the basis of Article 41 of its internal regulations. Over 10,000 people have now signed a petition.